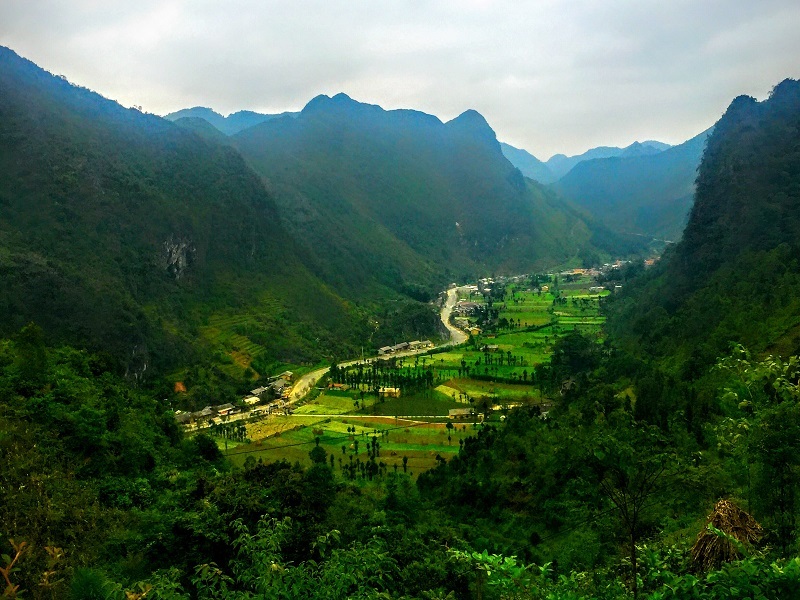 Ha Giang is the province located at the highest latitude in Vietnam. It shares a border with China in the north. Having spectacular scenery and many ethnic minorities, including the Dao, H’mong, Tay, and Nung, live on the rocky plateau for centuries. If you’re interested in hiking, enjoy the majestic mountains forests scenery, our Ha Giang tour is just for you! Ha Giang Trekking Tours 5 Days will lead you to explore the colourful ethnic groups and experience the sheer thrill of travelling along tortuous roads that you'll never forget. This trekking in Ha Giang 5 days 4 nights trip will take you to the most impressive region of Vietnam. Over five days you will discover colourful local markets of the ethnic minority communities, trek through the soaring mountains and experience the dizzying mountain passes of Dong Van and the Ma Pi Leng. Welcome to the highlight destinations that you will visit on this exciting trip. Dong Van Rocky Plateau: Situated north of Ha Giang, near the Sino-Vietnamese border, this plateau is covered by karst mountains. Dong Van is an ideal place for trekking and mountain climbing, where grandiose mountains may challenge your spirit for real. In return, breathtaking landscapes, meetings with local ethnic minorities and learn from their life’s stories are nowhere can be found in the world. Meo Vac Town: lies snugly in a smallish valley surrounded by rocky mountain. The journey here along the spectacular Mai Pi Leng Pass, about twenty kilometers from Dong Van, is the main attraction. There are different ethnic minorities groups living in Meo Vac including the H’mong, the Kinh, Tay, Dao, etc. Most ethnic groups have maintained their culture untouched from the outside world. 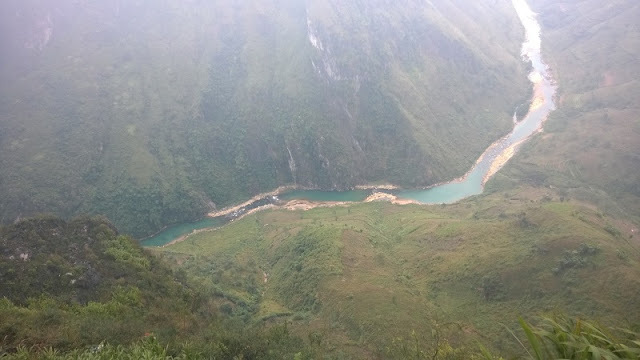 Nho Que river: Nho Que River is a famous river located at the foot of the legendary Ma Pi Leng Pass which any traveler when coming to the land of Ha Giang must stop to linger for watching. See the river from the top of the towering mountain, you not only catch a river full of poetic, but also can feel the many wonders, mysteries that this river. Lung Cam Cultural Village: Lung Cam Cultural Village is a small village located in Sung La commune of Dong Van district. In the middle of a plateau of rocky plateau, Lung Cam is small and distinct, not the typical rocky mountains but that impress with visitors by the view of a small valley, located in the center of this vast plateau. Palace of Hmong King: Located in the Sa Phin Valley is the palace of the Hmong kings who ruled large parts of Vietnam's northern Ha Giang province in the early 20th century. This is not only a historical relic but also a fabulous architectural landmark of local ethnic groups. This edifice is also a destination always interested many visitors. Lung Cu flag: Around 25km north of Dong Van and just a few kilometres from the Chinese border, Lung Cu is a massive flag tower erected in 2010 to mark the northernmost point of Vietnam. The summit is reached by almost 300 steps from a mid-level carpark, and the views across rural villages are stunning.